Teachers work so hard to teach kids everything they need to know and do so much that I think it's only fair to give them something to show them how much they are appreciated. I also didn't want to give her something she didn't need. 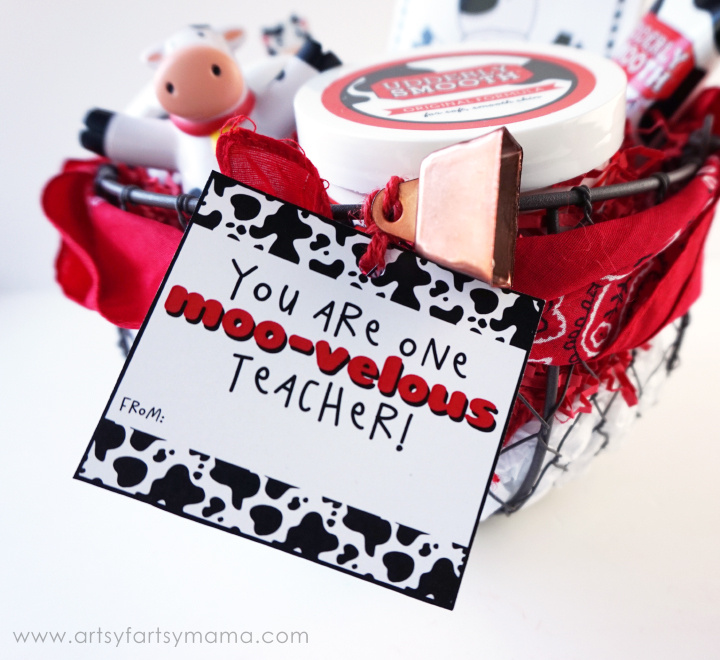 Udderly Smooth lotion is one of my favorite products to use, so we decided to go with a cow-themed gift basket for our Moo-velous teacher! My skin gets so dry that most lotions don't even do anything. My husband is also sensitive to perfumes of any kind, so my choices of lotions are even more limited. Udderly Smooth has been one of the only lotion brands that has really worked to keep my skin smooth and soft. Since it has worked so well for me, I know that teachers everywhere are going to love it, too. Not only is the lotion a great gift idea, the cow packaging is just perfect! 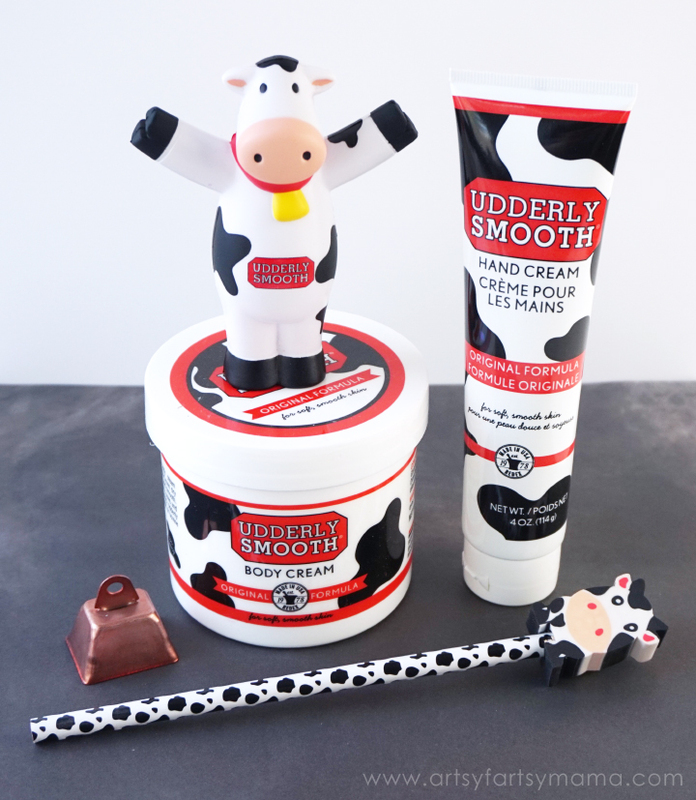 For our basket, we included Udderly Smooth Hand Cream, Udderly Smooth Body Cream, an adorable Udderly Smooth stress cow, a cow pencil, and a mini cow bell! 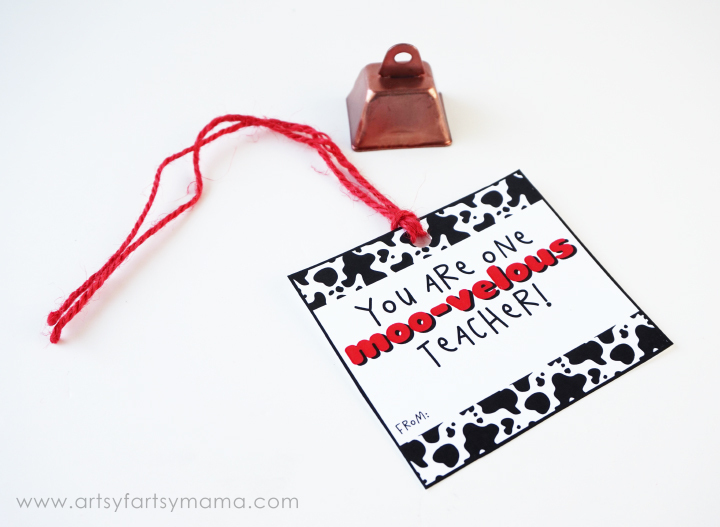 Print and cut out the "Moo-velous Teacher" tag, and use a hole punch to make a hole in the top. Cut 10-12 inches of red ribbon, twine, or cord and loop it through the hole in the card. Next, thread the ribbon through the hole in the cowbell and tie the tag to your basket! I arranged all the Udderly Smooth products in a chicken wire basket full of shredded red paper and tied a red bandana around it to give it a little more country flair. Just for fun, I also threw in a super cute Udderly Smooth coloring book! The basket jingles when you carry it around (thanks, cow bell) and is sure to be a hit with any Moo-velous teacher you know! Since I love Udderly Smooth so much and am really happy that you came here to read this post, I'm excited to share this awesome giveaway with you! Enter the form below to win an Udderly Smooth Gift Pack and Walmart Gift Card! I LOVE Udderly Smooth after discovering them at SNAP. This is such a cute idea. Thanks for sharing it Lindsay!